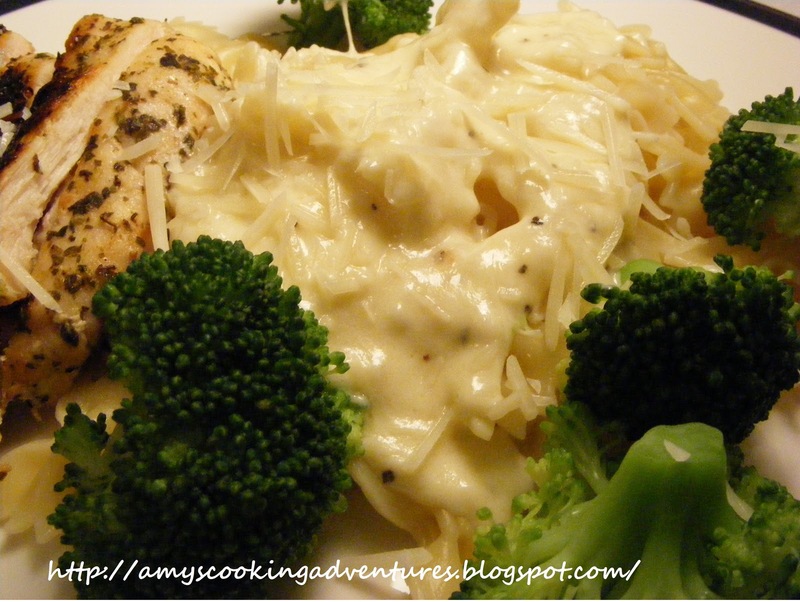 This alfredo sauce brings back fond memories. 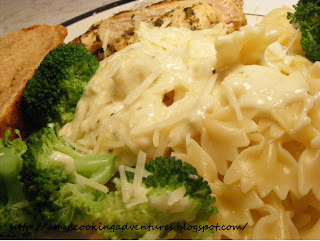 Seven years ago, this was the very first meal I cooked for the man who is now my husband. It was his birthday and we had been dating for several months so I wanted to make his day special by cooking him a meal. At this point, we were both in college, living in the dorms. It was before I discovered my love for cooking and I didn’t even have a kitchen in my dorm. It took a lot of planning, since the meal was a surprise for him, but I managed to get permission to use the kitchen (and pots and dishes and utensils) at my church and beg a recipe from my mom. My mom knew I would want to cook to impress, so she suggested this alfredo sauce and even adjusted it to make the perfect amount for two love birds. You can just as easily double the amount to serve more. To finish the story, my husband was wonderfully surprised by the meal and enjoyed every bite. I made this again the other day and even got our wedding china out of the cupboard, just because I love him. Remove from heat and stir in parmesan cheese until mixture is thoroughly blended and fairly smooth. Return to heat to warm through if necessary, but do not boil. Pour over noodles. Add broccoli and chicken if desired. Love the story!! I may have to try this one... I love alfredo! Mmm!